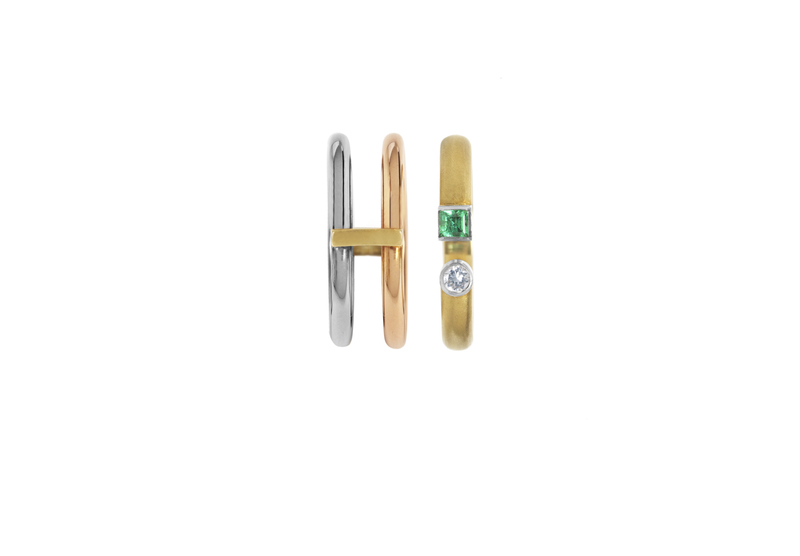 These interlocking rings, in a combination of coloured golds, can be worn together or individually, making them delightfully versatile. 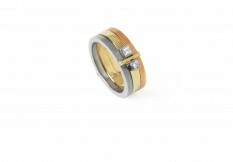 With comfortable circular-section bands, the external double ring is polished while the internal stone-set ring is matt, adding a further dimension and another layer of visual interest to this design-led set. 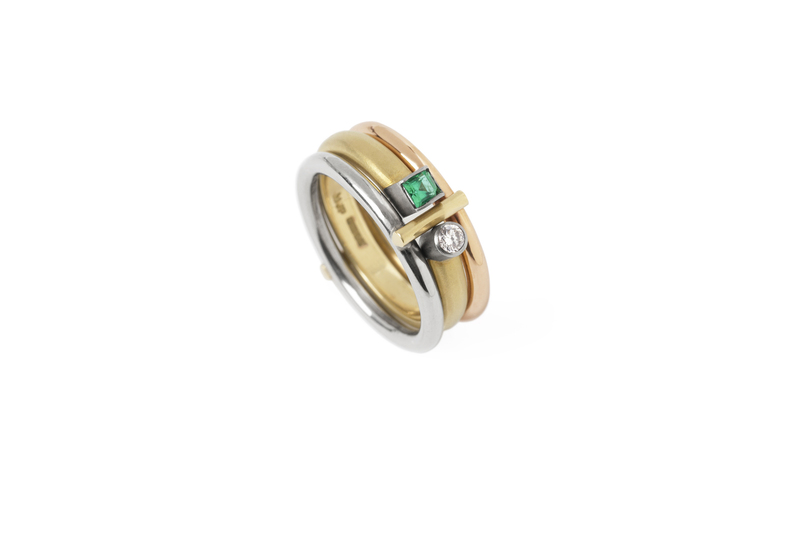 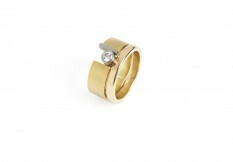 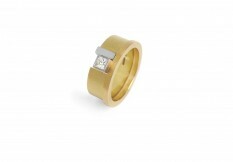 Shown in: 18ct Yellow, Red and White Gold with a brilliant cut diamond and an emerald.